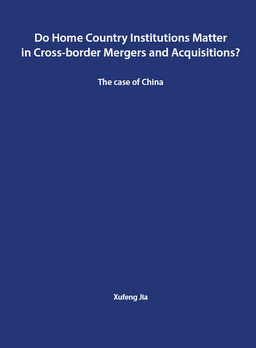 Using New Institutional Economics approach, this thesis examines the relationship between home-country institutions and the cross-border mergers and acquisitions in the context of the rising number of Chinese overseas mergers and acquisitions (OMA). By studying Chinese OMA from 1990 to 2013, as well as unbundling the institutional framework evolvements in China during the same period, this thesis found that the institutional determinants at different stages of an Chinese OMA play different roles. Namely, at pre-deal stage, the Chinese institutional framework (IF) constraints the motivations of Chinese acquirers; at deal-making stage, the Chinese IF as Chinese firm’s ID, negatively affect the deal-making success, and at the post-deal stage, Chinese IF positively influence the performance of the deal. This thesis also studies the case of Geely’s acquisition of Volvo to examine the above findings.